Just in time for the seasonal parties, we have launched the new Catering Catalogue which features many additions including more sustainable options than ever before, helping customers to make environmentally friendly choices, at affordable prices. To cater for this current high demand for eco-conscious products and wrapping, we have introduced a brand new sustainable food packaging range. Perfect for takeaway foods, these containers are made from recycled board and are recyclable, compostable and fully bio-degradable. The catalogue also features Jangro’s innovative Enviro range of cleaning and sanitising products, which include smarter packaging single use ‘sachets’, to avoid the use of traditional plastic bottles. Other additions include a new FDA/EU approved hygiene brushware range; and allergen labels and kitchen equipment, including purple chopping boards. As well as offering commercial equipment, we have also designed a smaller budget range to suit rental accommodation, such as student housing. This collection includes products such as kettles, toasters, microwaves and irons. There is also a commercial range of steam cleaners for deep cleans available. 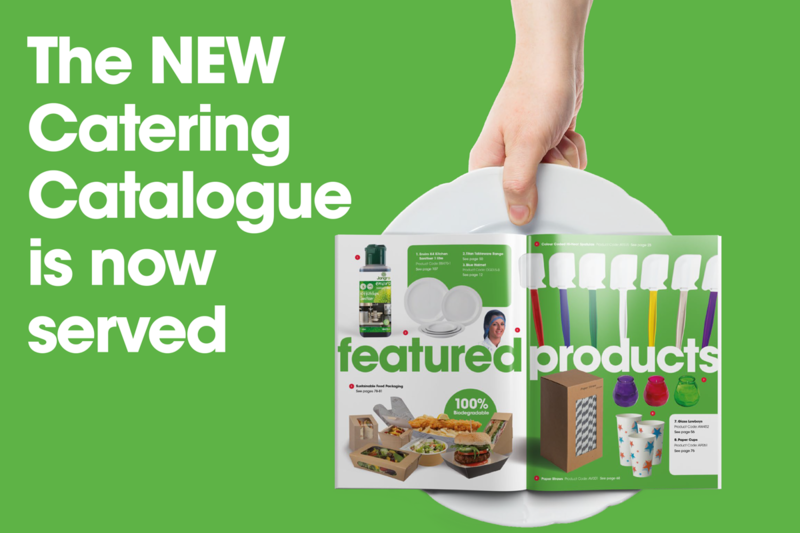 Jo Gilliard, CEO of Jangro comments “We are thrilled to launch our new Catering Catalogue – not only is it packed with everything a catering business needs, it also offers many products designed with the environment in mind. We are committed to helping our customers make more sustainable choices wherever possible. This means that we need to offer high quality, effective, and eco-friendly products, which are affordable. The catalogue features all the essentials required for catering, leisure and hospitality businesses – including kitchen hygiene, utensils and equipment, cleaning chemicals, tableware and glassware, washroom supplies, work wear, janitorial and waste management.